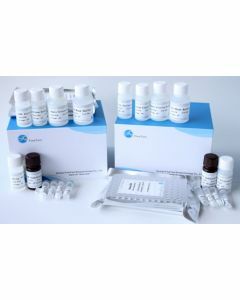 HMGN1, 1-100aa, Human, 01-1805-1 | ARP American Research Products, Inc.
HMGN1, also known as non-histone chromosomal protein HMG-14, belongs to the HMGN family. Chromosomal protein HMGN1 binds to the inner side of the nucleosomal DNA, potentially altering the interaction between the DNA and the histone octamer. This protein may be involved in the process that maintains transcribable genes in a unique chromatin conformation. 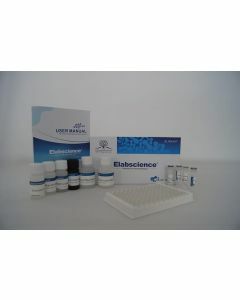 Recombinant human HMGN1 protein was expressed in E.coli and purified by using conventional chromatography techniques. 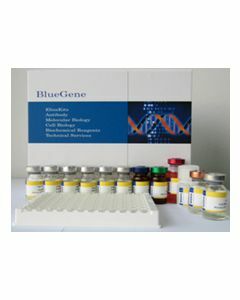 HMG14, GC104230, Non-histone chromosomal protein HMG-14 FLJ27265, FLJ31471, High mobility group (nonhistone chromosomal) protein 14, High mobility group nucleosome binding 1, High mobility group nucleosome binding domain 1, High mobility group nucleosome binding domain containing protein 1, High mobility group protein 14, HMG 14 HMGN 1, HMGN1, MGC104230, MGC117425, Nonhistone chromosomal protein HMG 14, Nonhistone chromosomal protein HMG14. 41.3 kDa (365aa), confirmed by MALDI-TOF.